Riu Palace Mexico is an all-inclusive, family-friendly resort, overlooking the turquoise waters of the Mexican Caribbean in Playa del Carmen. Its impressive architecture encompasses 434 deluxe guestrooms, featuring unique amenities, such as RIU’s renowned mini-bar and liquor dispenser. The hotel offers an exquisite selection of à la carte restaurants and spectacular buffets, complemented by 24-hour room service, snacks and beverage service. RIU’s exchange privileges also allow access to all other RIU sister properties in the Playacar area; an ideal vacation choice for couples and families, alike! 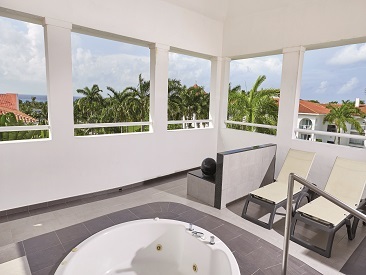 The all-inclusive Riu Palace Mexico is located in the exclusive Playacar resort area, overlooks the turquoise waters of the Mexican Caribbean just five minutes from Playa del Carmen. 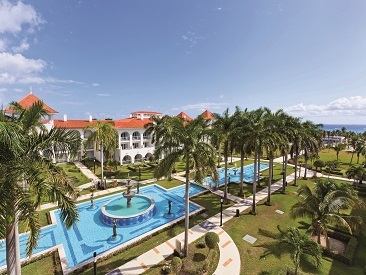 As part of the Riu Palace Mexico, this incredible resort allows you to take advantage of generous privileges, facilities, restaurants, bars, shows and entertainment at the five other RIU properties adjacent to the resort. Within walking distance or a 5 minute cab ride you will find the charming and eclectic town of Playa del Carmen. Explore the shops on famous Fifth Avenue, experience the nightlife, or catch a ferry for a day trip to Cozumel from this trendy port town, the true hub of the Mayan corridor. Please Note: RIU does not allow guests exchange privileges for dinner. 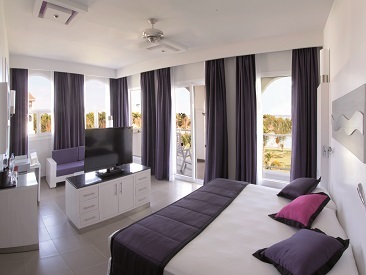 Riu Palace Mexico provides preferential conditions and additional value to their guests when contacting, booking and paying directly at Hard Rock Golf Club Riviera Maya. One per stay. Tour leader should claim by email. *No complementary massages will be offered directly at the spa without the voucher. The hotel offers complimentary Wi-Fi in the lobby and in all guest rooms.